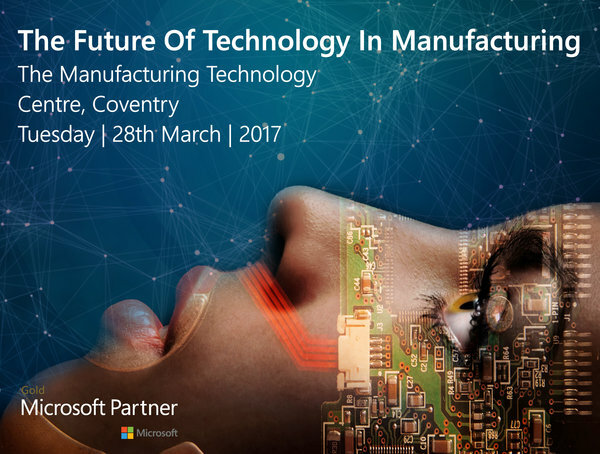 The Future Of Technology in Manufacturing: HSO Event. (iii) Given that the overarching theme of the event was Industry 4.0, we were keen to hear what the take on this was from the ERP vendor perspective as well as the thought leaders from the MTC who are at the cutting edge of prototypes and proof of concepts for many exciting new developments in this area. (iv) allow for the creation of new business models. He spoke passionately about the need to increase the efforts in getting the industry to adapt it’s people, processes and systems to be able to embrace the benefits that the technologies behind Industry 4.0 can deliver. A key takeaway from the event was that Industry 4.0 is here and now – it’s no longer the ‘blue sky thinking’ future state. There are more and more live industrial applications across many areas of manufacturing and supply chain proving the point. And it’s not just the large, well known corporations that you’d expect to be at the forefront like Siemens and Bosch for example. Mike Stanbridge, Enterprise Systems Director at AB Agri gave some really innovative and exciting examples of what they’re doing on their journey. And that’s a key point – digital transformation, Industry 4.0 – whatever terminology you use, it’s a journey, it’s not an overnight change. But the fact is that it’s pretty evident that UK manufacturer’s need to start their journey now. And what’s that line about every journey starting with a single step.